To find out the meaning of each symbolic object, please see here. During the ceremony the bride and groom sit in front of the table under a silk cloth held by the wedding party, usually women, who are close to the bride and groom. The ceremony opens with an officiant reciting good wishes to the couple and emphasizing the importance of marriage and family. The officiant then briefly explains the symbolic meaning of each item on the table and its relevance to the couple's relationship and future. 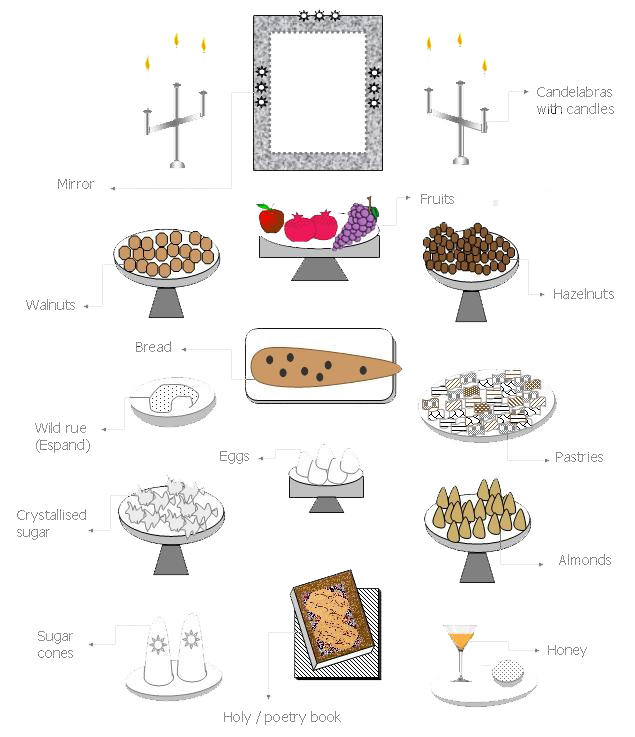 For example, honey, is to wish the couple sweetness in their marriage and the candelabras and the mirror represent a bright future. The officiant then asks the bride if she takes the groom to be her lifelong partner three times, and asks the groom the same question three times as well. Once the couple say yes, they exchange rings, and feed each other honey from the table to seal their marriage in sweetness.